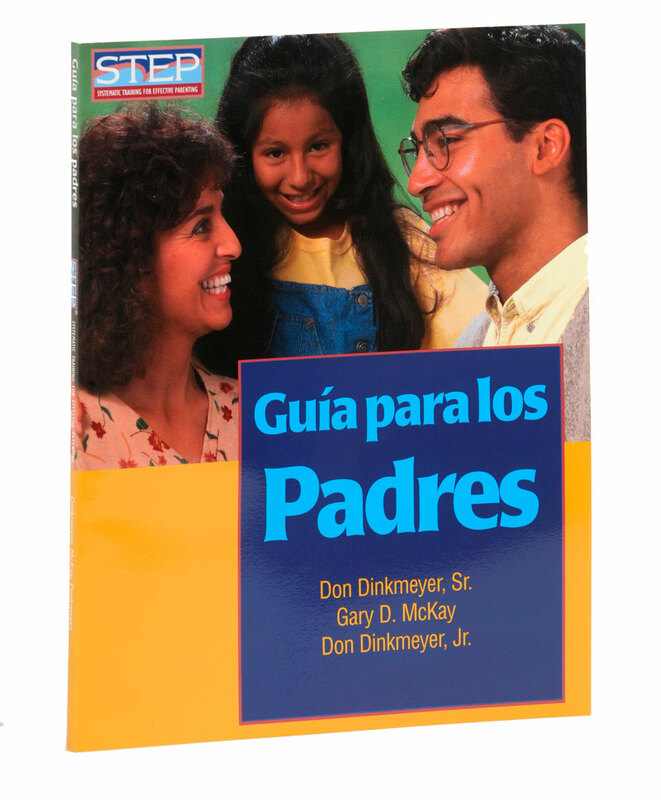 Target population: For parents of Spanish-speaking children from 6 through 12 years of age, who would benefit from STEP in unique Spanish language materials -- not "dubs" or "literal translations." Package includes DVDs instead of VHS tapes. 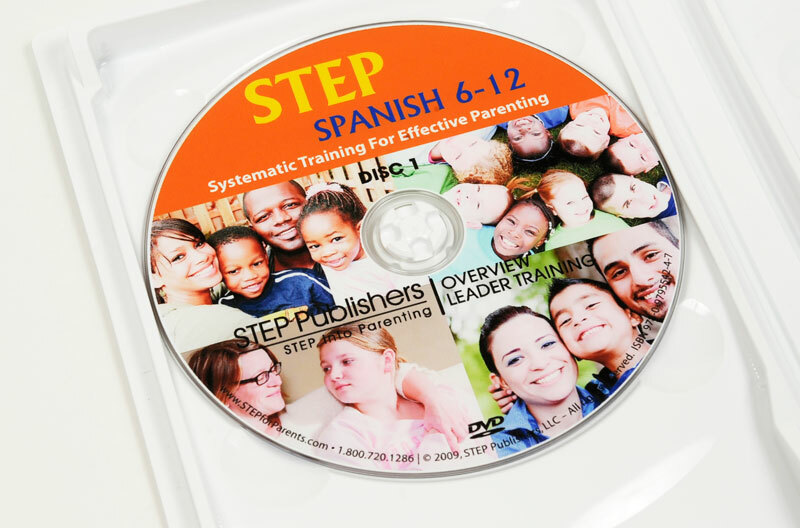 Program Uniqueness: If you work with Spanish-speaking parents, you'll welcome this edition of STEP. The materials in Spanish STEP are translated so that parents can learn the same practical, effective skills found in the English STEP. You get the complete STEP -- Leader's Resource Guide, Handbook, videos, and announcement posters -- in Spanish. The videos are fully produced in Spanish, too-not dubbed or subtitled -- with Spanish-speaking actors in true-to-life scenes and locales around the country. Participant's Handbook -- easy-to-read handbook for parents. Be sure to order additional copies for each participant here. 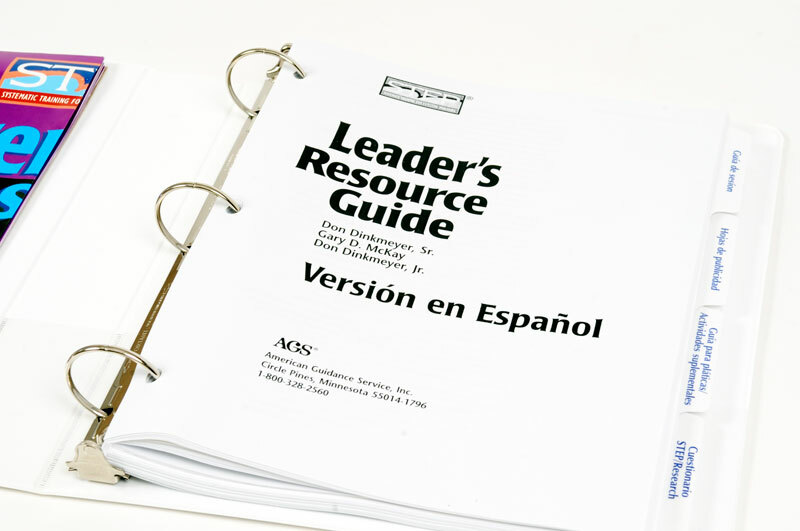 Leader's Resource Guide -- with session guide, reproducible h andouts, activities, parent survey, certificate of participation, and additional aids on specific topics important to today's parents. 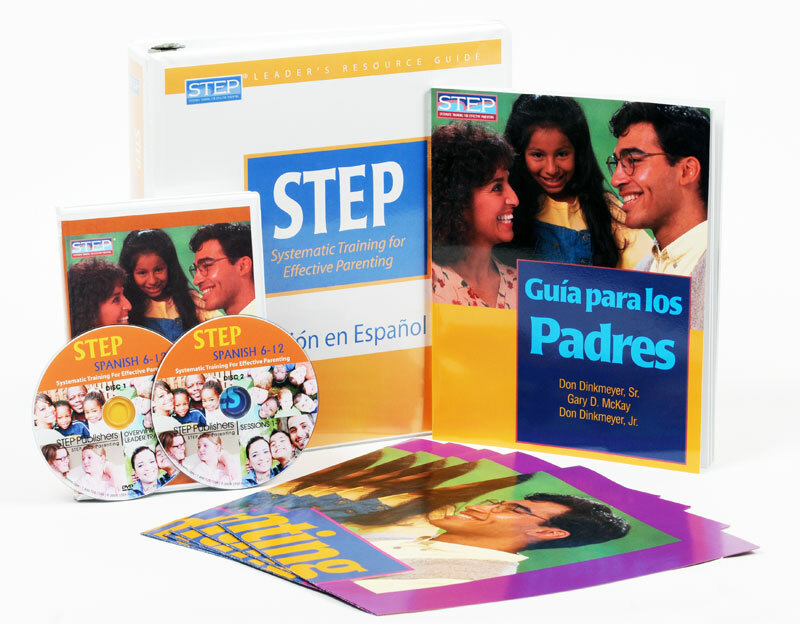 DVD -- two videos model the STEP skills parents can use right away, plus a third video (in English) for parent educators filled with tips on how to lead a parenting group. Closed captioned. The STEP Parent's Handbook features straightforward concepts and numerous examples relevant to today's families. This popular parenting guide helps improve communication among family members through time-tested principles that have worked for millions of parents and parent educators. Easy to understand and apply, Spanish STEP presents effective skills parents can use immediately.